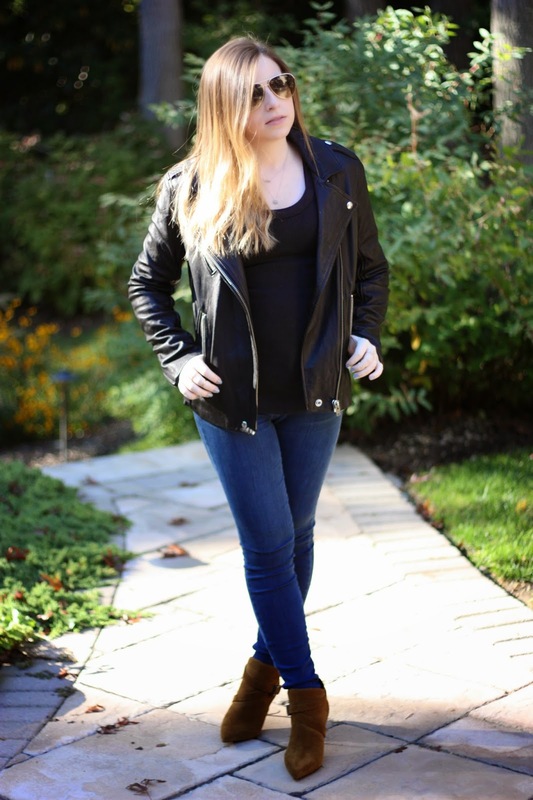 My recent posts have all talked about must-have items for fall, but what's fall without a good leather jacket? I think it's a pretty important piece to have, and finding the perfect one is not always easy. Since real leather is almost always going to be an investment piece, it has to be something you love. And, of course, as soon as I put this jacket on I knew I needed to own it. The perfect jacket can add so much to any outfit. 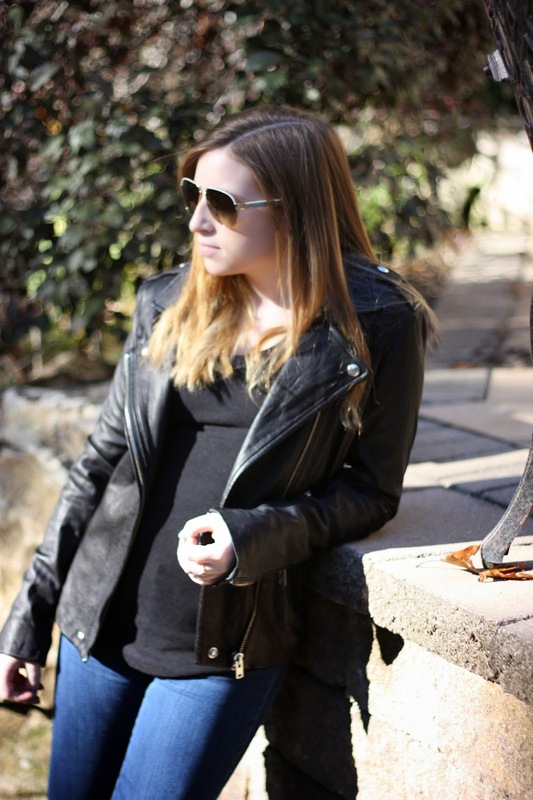 I wore it really simply with jeans and a black shirt, and yet the hardware and detailing on the jacket are enough to make this outfit something special. Also, from now until October 24th, if you purchase the Knit Dress or Jacket from the Marchesa Voyage for ShopStyle collection you can get the scarf for free by using the code SCARF. Shop the collection here.